AKA, ~THA RAP OFFICIAL~ have dropped this dope rap tune, just as as promised, he never dull with his pleases. 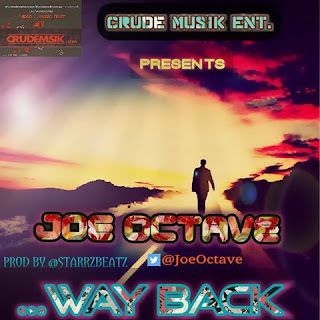 He is a producer popularly called by his production name OCTAVEBEATZ | MIXER aka BEHAVE IT’S OCTAVE MIX, and also a Sound Engineer, a blogger, a rapper/singer, song writer, and most astonishingly he is a computer science student in Fidei Polytechnic, studying Programming. This song is a heart captivating song that once you listen to it, it register itself to your brain automatically, and your lips will NEVER seize to sing to the tune. One of the thing I love about this song is the lyrics and the meaning of the chorus. This song have been a source of encouragement to me, and it express the passion for your hustle, that you should’nt give a dammn about your haters, middle finger to dem haters. WATCH OUT FOR THIS GUY!